What is the Cost of Waiting Until Next Year to Buy? 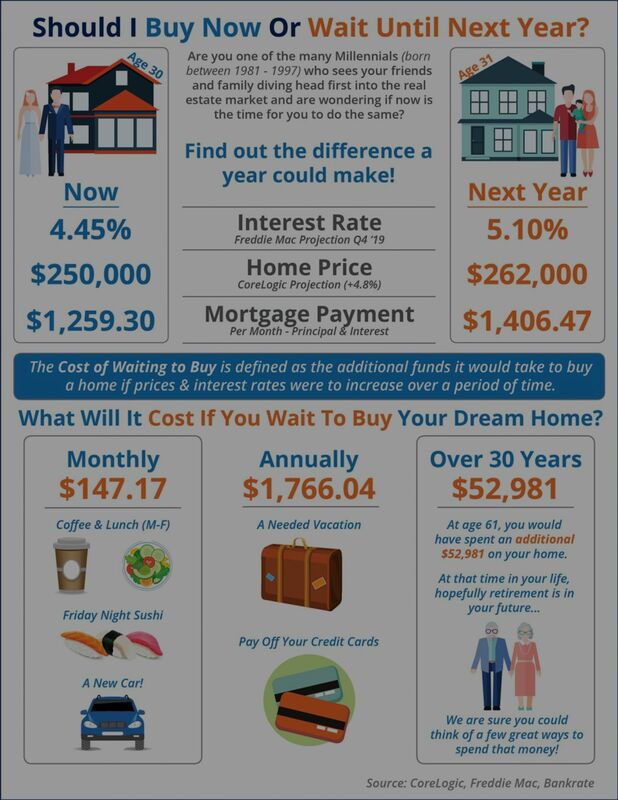 [INFOGRAPHIC] What is the Cost of Waiting Until Next Year to Buy? [INFOGRAPHIC] | MyKCM Some Highlights: The cost of waiting to buy is defined as the additional funds it would take to buy a home if prices & interest rates were to increase over a period of time. Freddie Mac predicts interest rates to rise to 5.1% by the end of 2019. CoreLogic predicts home prices to appreciate by 4.8% over the next 12 months. If you are ready and willing to buy your dream home, find out if you are able to!